Her classmates agree that Molecular Diagnostics: from Lab to Viñedo was a positive learning experience. Students practice pipetting techniques in lab class to prepare a biological sample for testing. Photo by University Communications/Chris Kitchen. 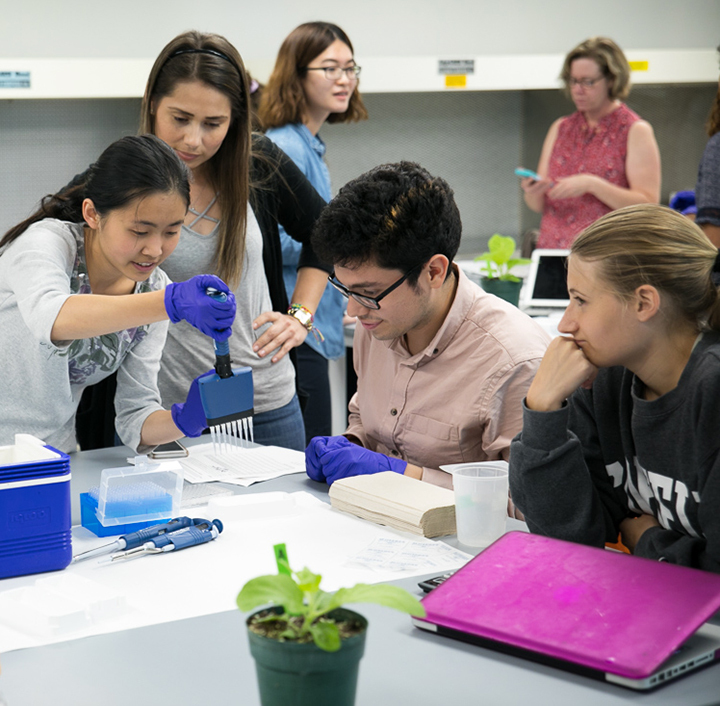 The course, which debuted in 2017, promised undergraduate and graduate students the unique opportunity to combine hands-on laboratory training and theory with an overseas experience that integrates both language and cultural components. 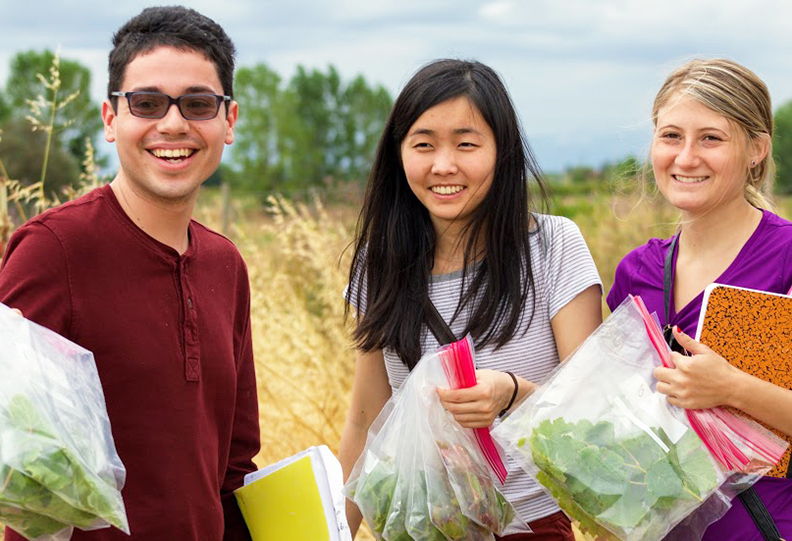 Jeremy Thompson, research associate and lecturer in the School of Integrative Plant Science (SIPS) in Cornell’s College of Agriculture and Life Sciences, was the lead faculty member for the course, which he had developed with support from a 2016 Internationalizing the Cornell Curriculum grant from Global Cornell. Four other instructors helped teach: Mary McKellar, SIPS teaching support specialist; Danilo Moreta, PhD student, Agriculture and Life Sciences/plant breeding and genetics; Marco Straus, research associate in the College of Veterinary Medicine/microbiology and immunology; and Lucy Romero, doctoral student in molecular biology and visiting scholar in the Latin American Studies Program in Cornell’s Mario Einaudi Center for International Studies. Jeremy Thompson explaining a concept to students in the lab. Photo by University Communications/Chris Kitchen. Using plants as a model organism in lab class at Cornell during fall semester, the 20 students applied multiple established and novel molecular techniques to determine the cause of disease manifested as a range of symptoms. 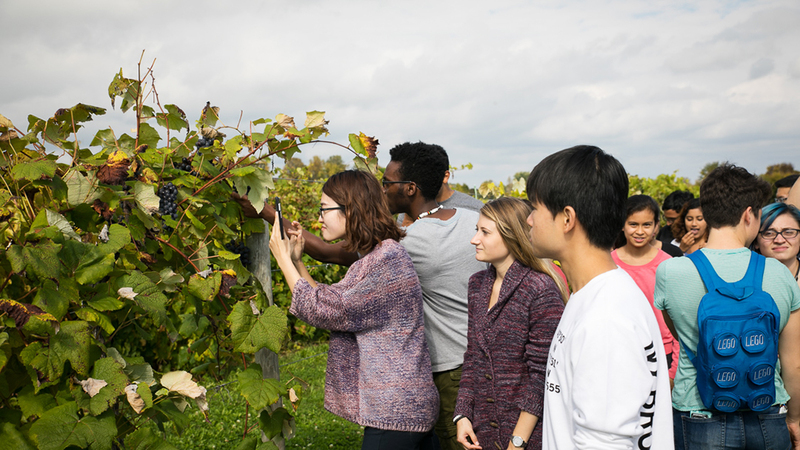 Although the methodologies the students learned are applicable to both animal and plant health, the focus was on grapevine diseases in Chile’s major wine-production region. As part of their course work, the students visited both the Animal Health Diagnostic Lab at Cornell’s College of Veterinary Medicine, and the NYS Agricultural Experiment Station in Geneva, New York, which is run by Cornell’s College of Agriculture and Life Sciences. During that visit, scientists from the local diagnostics company Rheonix presented the students with insights into cutting-edge methods and the related federal regulations. Jumpstart Spanish with Alisa Linarejos Jimenez. Photo by University Communications/Chris Kitchen. 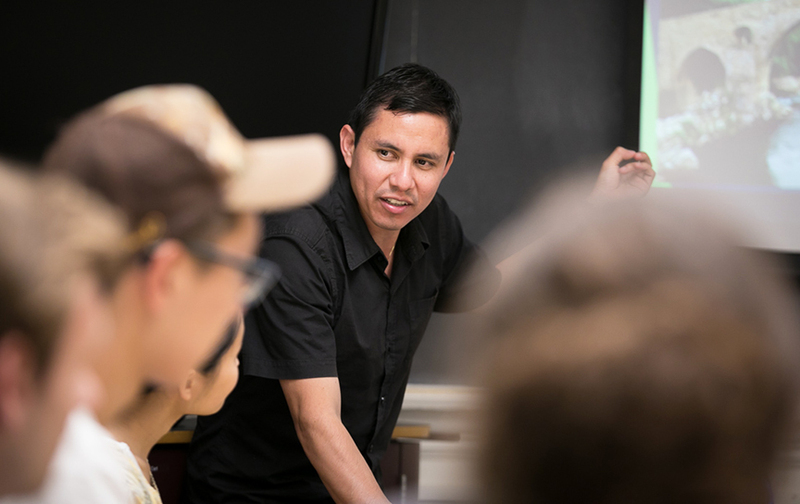 During fall semester on the Ithaca campus, the students also began language study so they would be prepared to speak conversationally and technically with students, faculty and collaborators in Chile. Jumpstart classes—taught by Alisa Linarejos Jimenez, lecturer of Spanish language—and Foreign Languages Across the Curriculum (FLAC) Chilean Spanish for Molecular Diagnostics classes—taught by Spanish instructor Danilo Moreta, PhD student, Agriculture and Life Sciences/plant breeding and genetics—helped prepare the students for immersion in a Spanish-speaking culture. And the Cornell students were paired with students at Pontifical Catholic University of Chile in Santiago, so they could practice conversational Spanish via social media before the winter break session. 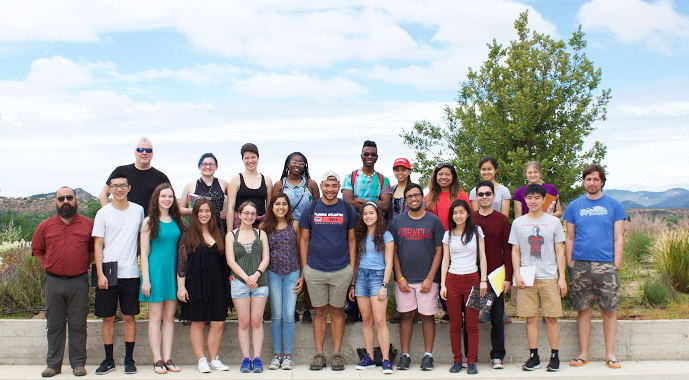 The Cornell students then took their diagnostic and language skills and applied them during a two-week winter break trip to Chile this past January. On the ground in Chile, they took samples from vineyards and analyzed them in a field laboratory. They conversed in Spanish and English with Chilean faculty, host students and grape growers. The Cornellians had the opportunity to meet PUC students and scientists, listen to presentations on their research and tour the central campus. 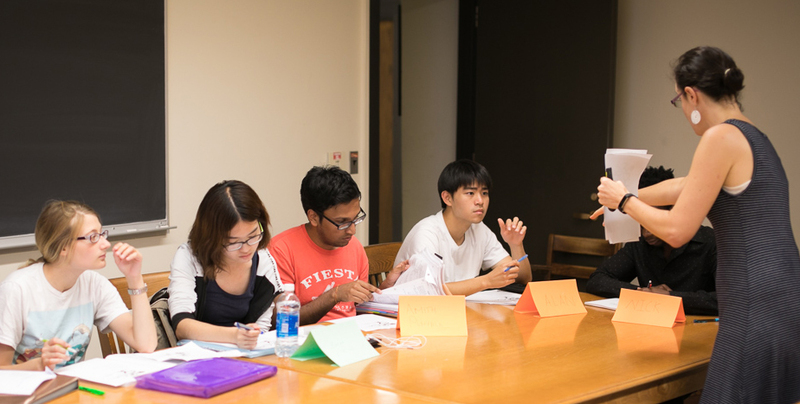 “Internationalization with Cornell is of immense interest both for the exchange of students and for the collaborative research between universities." At the University of Talca, under the guidance of professors Yerko Moreno and Mauricio Lolas, the students also had the opportunity to collect diseased vines and grape shoots and bunches for virus detection from various locations—including the university’s Research Station at Panguilemo and the InVina vineyards at San Rafael. Students collect vine samples for testing in the lab. 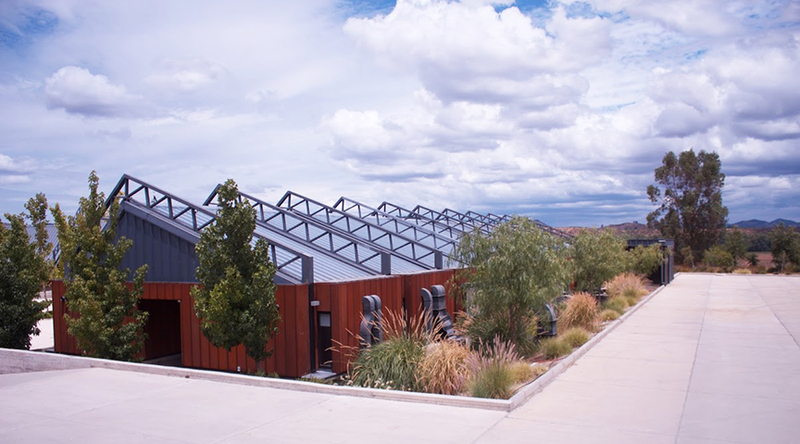 In Talca, the students also got the chance to visit the Center for Research and Innovation that belongs to the world-famous winery Concha y Toro. Students credit the course both for improving their language skills and motivating their individual interests in science. After four busy days of lab work, analyzing 57 samples, the students had a chance to relax with a tour to the uniquely charming coastal cities of Valparaíso and Viña del Mar. On their return to a snowy Ithaca, the students wrapped up the whole experience with a scientific report on their findings. Future plans, says Thompson, are for the course to expand to provide a range of practical options for aspiring molecular biological researchers. Enrollment for this year’s class starts soon. Interested students should contact Jeremy Thompson directly.